On the way to "One Million Visits"
Yes, I wanted to wait until it actually happens. But I was very excited not to hold on till that happens. In few hours time, Cooking 4 all Seasons will have 1,000,000 visits! My dear readers and friends, I must thank you all for making this happen! I started tracking the stats few months after blogging. But beginning of this year, I noticed that in another 8 month’s time this was going to come. And here is it! This milestone really makes it so very special and I wanted to thank everybody for making it possible! So a big Thanks for all the encouragement and support I get from all my readers, blogging friends and my family. 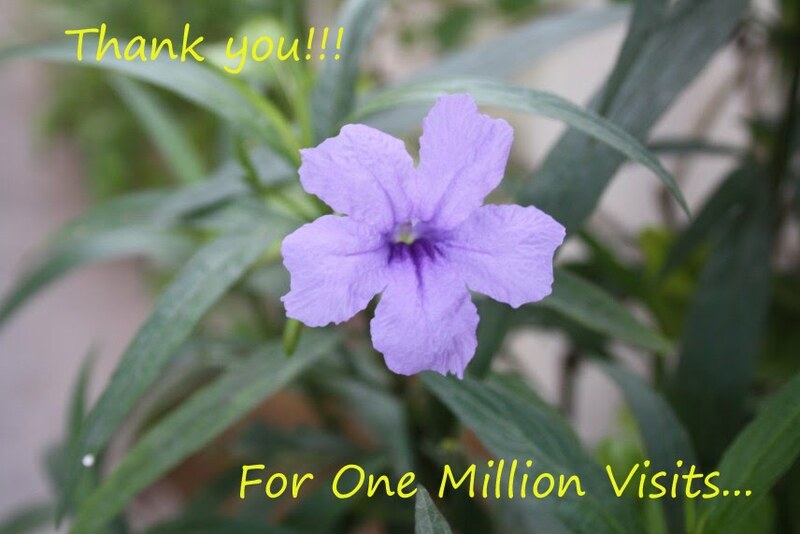 I am adding one more count now LOL..many congratulations..
Wowo One Million visitors, congragulations Valli. Woo hoo!!! A fab milestone that.You go, girl! wow – congrats on the big milestone! Wow…Congrats Valli. Very happy for you and wishing many more in the years to come. Congratulations Valli ! Wishing you many more such milestones.